Chicago newspaper editor Cooper suffers a debilitating concussion that takes him from the political pages to comic strip detail. 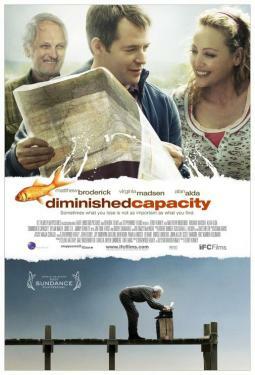 Looking for answers, he travels home to rural Missouri where his aging Uncle Rollie is on the verge of losing his home and has memory problems of his own--what doctors call a case of "diminished capacity." When Rollie throws a valuable Chicago Cubs baseball card into the mix, these two men, along with Cooper's high school sweetheart, Charlotte, head to a memorabilia expo to make the deal of a century. As the two muddled men--"slow and slower"--dive headfirst into a snake pit of slick salesmen, including a crooked dealer and a rabid fan, they explore the world of commercialized nostalgia and the value of their own memories.